Owing to our enriched industrial experience, we are devoted towards manufacturing a wide variety of excellent quality Power Trowel. Being a leader in the industry, we are engaged in manufacturing a qualitative range of Industrial Floater. - To smooth wet concrete when making floors. We have on offer Power Trowels that are procured from certified vendors of the industry. 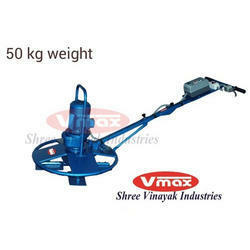 We are involved in supplying a wide range of Disc Float/Power Float that are perfectly designed by our team of experts. These products are fitted with circular disc and used to remove surface undulations prior to finishing surface. Capable of controlling high pressure, these products are demanded in the wide competitive market. These are surface finishing equipment, powered by a standard 3.0 H.P electric motor. The equipment is fitted with blades & is used for perfect finishing of surface after compacting. 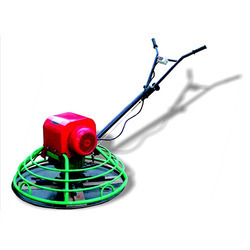 Floater is fitted with a circular disc & use to remove the undulations prior to finishing the surface. Max Dewatering Capacity: 24 sq. Mtr.